Last night Friday (November 9), Rihanna held her Unapologetic album listening session at Jay-Z’s 40/40 Club in Manhattan. For the event, Riri styled in a $3,750 Proenza Schouler Birds Quilted Birds Quilted Silk Jacket layered over a black hoodie and blue denim jeans paired Timberland boots. Riri accessorized her outfit with a black Chanel bag. Riri is scheduled to perform “Diamonds” and other tracks on Saturday Night Live. Rihanna is releasing her new album, entitled Unapologetic on November 19. The standard edition contains 14 tracks while the deluxe comes with 3 tracks songs in addition to a DVD. The bonus tracks include two remixes to Riri’s chart-topping single “Diamond” and a song titled “Half Of Me”. Unapologetic is now available for pre-order via iTune. The deluxe box sets which will include exclusive images and accessories of the platinum-selling singer–Diamond Box and Diamonds Executive Platinum Box are now available for pre-sale and retails $79 and $250 on RihannaNow.com. 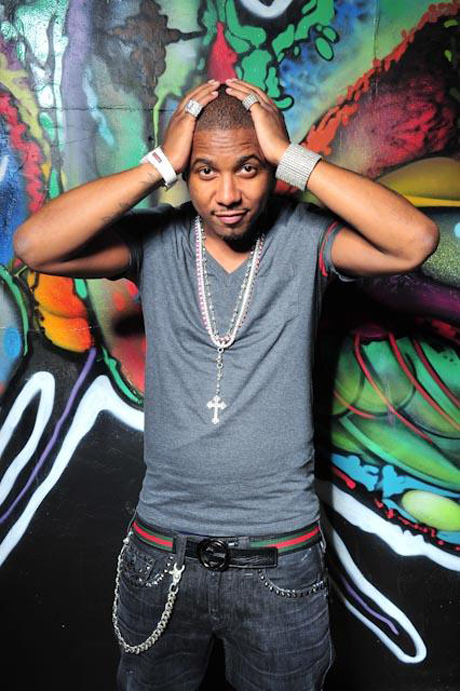 It has been seven years since Harlem’s rapper Juelz Santana released a solo album. His 2005’s sophomore album, entitled What The Game’s Been Missing! debuted at #1 on both the Top Rap Albums and Top R&B/Hip-Hop Albums chart and #9 on the Billboard 200. The album has sold over 655,000 copies which earned Juelz his first gold plaque. The album was a success! “There It Go” was certified gold by the RIAA and reached #6 on the Billboard Hot 100 and #3 on the Hot Rap Tracks charts; “Oh Yes” reached #56 on the Hot 100 and #8 on the Rap charts. “Mic Check” reached #35 on the Billboard Hot 100. In 2009, Juelz released Skull Gang (a compilation album with his artists) and since then he has really been quiet. He did appear on a few episodes of Love & Hip Hop which wasn’t a mainstream success. Juelz is back in the studio working on a couple of upcoming projects. He recently took to his official Twitter @TheJuelzSantana and announced his plans to release two new mixtapes, entitled God Will’n Vol and 2. He has already collaborated with Wiz Khalifa, Lloyd Banks and Chief Keef for his upcoming projects. The track that Juelz recorded with Keef is called “Murder Murder”. I’m assuming that he scraped the Regan Era mixtape. Will Born 2 Lose, Built To Win ever see the light of day? After taking some time off to raise her daughter, Baby Blue, pop icon Beyoncé is back in the studio and she is styling too. It has been almost two years since we’ve gotten some new music from Beyoncé, but it looks like Jay-Z’s wife is gearing up to release her new project in 2013. She was photo’d in the studio recording some new tracks. 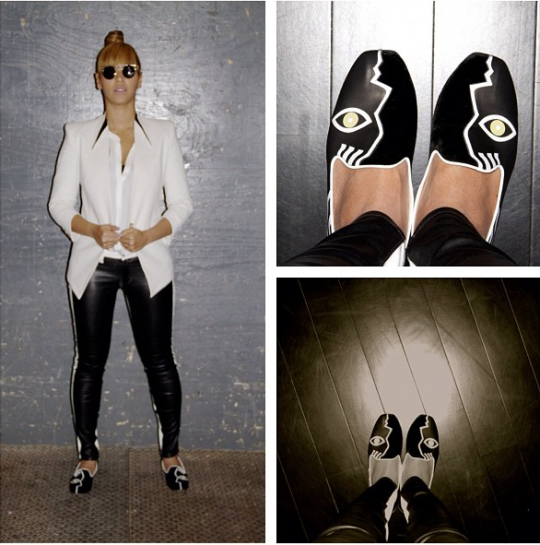 She hit up her session wearing a pair of black and white pants with a matching jacket and a pair of Nicholas Kirkwood face-print loafers. 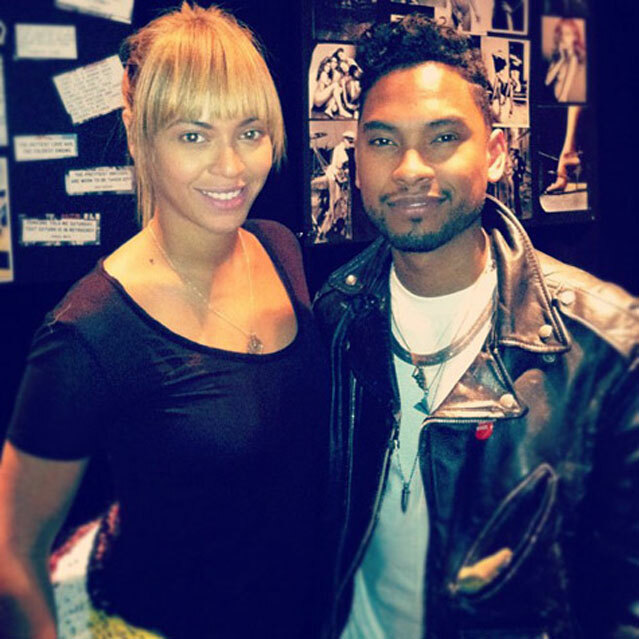 Last week, Bey was photo’d in the studio with R&B singer Miguel. They’re working on some musical stuff together. 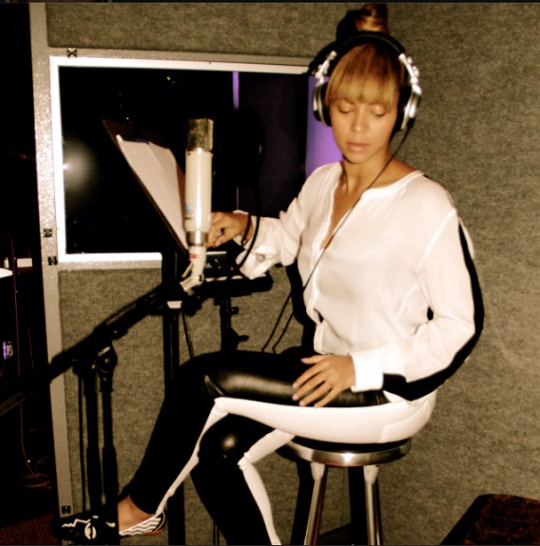 Are you glad that Bey is back in the studio? Kanye & Kim Hugged Up In London…Are We Finally Feeling Them As A Couple? Kanye and Kim are still living it up across the pond. 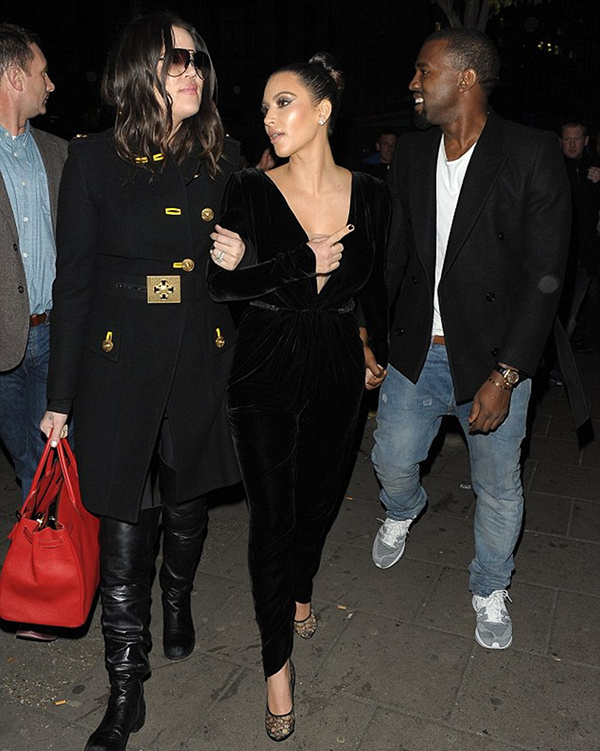 Last night, the twosome along with Khole, Kourtney and Scott Disick were spotted out on the town. Kanye West and Kim Kardashian made sure that the paparazzi caught them all hugged up in the capital city of England. For the second time this week, the happily couple was photo’d leaving London’s Mayfair Hakkasan restaurant. After dinner, the entire family walked into Sainsbury grocery store and did some shopping. Kim styled in a velvet catsuit paired with Christian Louboutin pumps and Kanye kept it casual in a black blazer layered over a white tee-shirt and blue jeans paired with Nike sneakers. Are we finally feeling them together as a couple? Comments Off on Kanye & Kim Hugged Up In London…Are We Finally Feeling Them As A Couple? 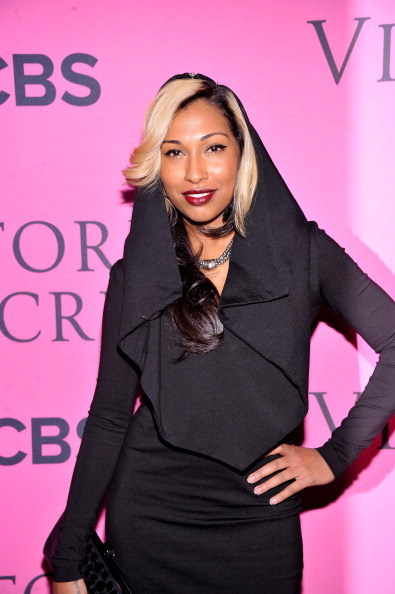 Two-time Grammy Award winning singer Melanie Fiona recently attended the 2012 Victoria Secret Fashion Show and she was styling on those hoes in a Kimberly Ovitz hooded dress paired with black Christian Louboutin ankle boots. The 2012 Victoria Secret Fashion Show was recorded earlier in the week at NYC’s Lexington Armory and is scheduled to air December 4 on CBS. Fiona is very attractive and talented! I think she is underrated. Her latest album, The MF Life was released this past March and debuted at number seven on the Billboard 200, selling over 34,000 copies in the first week. What are your thoughts on Fiona’s outfit and are you a fan of her music? Angela Simmons' 106 & Park Takeover; Is BET About To Announce That She's The New Co-Host?